And just about the easiest appetizer to make and certainly the BEST TASTING, EASIEST and CLASSIC Appetizer around. 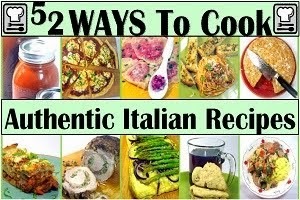 The combination is classic Italian, been around for centuries. I dressed the presentation up with some shredded coconut and ribbons of mint. 4 ingredients, simple, fast and SPECTACULAR! A winning combination perfect for any "share a plate" occasion. Prepare the Prosciutto, 1 inch wide, about 3-4 inches long. Line the serving plate with a bed of shredded coconut. Garnish with small ribbons of Mint cut chiffonade style. Looks beautiful on a cheese board or for any excuse for a pot luck. A real stand out dish! This recipe has been added to my growing list of "52 Church PotLuck Dishes"! 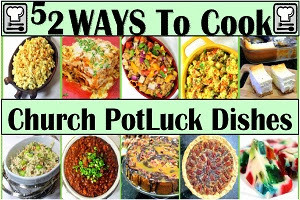 "A potluck, like a church requires work. At a potluck everyone is expected to contribute.. At a church no one should come empty handed and no one should leave unfed". 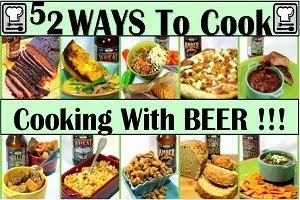 Come and find me on Pinterest... Any of my "52 Ways to cook" Boards are worth following. If you like this post, please take a second and "Pin" this to your own boards... Better yet, if you are part of a foodie group board please take a second and add this post to your group pins... best way to show your Love! And BTW, if you are not yet part of a group board, drop me an email at Contact@eRecipeCards.com and request to be added to my group board... FAVORITE FOOD BLOGGERS! (be sure to include your pinterest ID when you write) Once you are added, any pins you add will be seen by 10s of THOUSANDS of followers of the board (and growing daily). In order to join you need to start following the group board as well as at least one of my boards. Goat Cheese and Mint Stuffed Cherry Tomatoes Little beautiful gems. Sweet Cherry Poppers, sliced and stuffed with Creamy Herbal Goat Cheese. Made pretty for any bring and share occasion. Simple, only a few ingredients and ALWAYS A CROWD PLEASING PLATE! Be sure to trim just a tiny bit of the bottom so that they stand up. Only slice down from the top no more than half way. Any further and the tomatoes will split when you pipe in the cheese. And final tip is to do the prep work in advance (Slice the tomatoes and fill the piping bag). But do the finish work on site just as you place the serving plate down. It only takes seconds to fill them. If you fill in advance, the tomatoes will move and the finished look will not stay. And of course, they will be the BEAUTY of any potluck table! 24 (about 1 Pint) Cherry Tomatoes. Bottom trimmed so they stand flat, then top has criss cross cuts to form an X, cut no more than 1/2 way down the tomato. You can do all of the prep work for these ion advance, including loading the piping bag. It takes only a couple of minutes to fill the tomatoes. If done in advance, it is difficult to keep them arranged on the plate and still look attractive. Prepare the Cheese, mix together the cheese, mint and a bit of the cream. The cheese should be soft but still firm enough to hod it's shape. Continue to add cream as needed to soften. Arrange the tomatoes on a serving plate, Fill the bottom with something that will help make the tomatoes stand up. I prefer some fry beans. I have also used unpopped popcorn. Now, fill the piping bag with narrow star tip with the cheese mix. Pipe in a tsp worth into each tomato. Garnish with ribbons of fresh mint. Not really a cookie... These are watermelon slices (thin sliced) and then air dried to forma firm slice of watermelon the size of a cookie. Still sweet and wet, but easily handled. A delightful beautiful appetizer. A standout at any summer BBQ. A wonderful dish to bring to a potluck. The "icing" on the cookie is a sweet Italian cream cheese, Mascarpone. The mascarpone is made even sweeter and creamier by adding a few simple ingredients. The piping is a simple star tip and you are done. Only a few minutes of hands on work (but remember to air dry the watermelon "cookies" for a few hours). EASY, Only a few minutes hands on, delightful, unusual, beautiful and exotically tasty! A STAND OUT FOR ANY OCCASION! First, make the watermelon "cookies". In fact, they are not cookies at all unless you count the cookie shape. They are small thin cookie shaped dried pieces of watermelon. I happen to own a round small cookie cutter with fluted edges. But this would work and look just fine with the watermelon slices cut into 1 inch squares. Once you have the pieces cut into the right shape, you want to place them on a cookie cooling rack balanced over a plate to collect the juices (Watermelon Margarita anyone... But I digress). Allow these to air dry overnight or at least 8 hours. The watermelon slices become almost the texture of an under ripe peach, stiff. Once the "cookies" are air dried to firm, make the spicy sweet Mascarpone "icing". Mix softened Mascarpone and the Heavy cream until the mix is the consistancy of icing, soft but still able to hold it's shape. Then add the vanilla, honey and lime zest. Taste. Then add a pinch of Chipotle spice. mix well and taste again. If you like the tiny hint of spice, you are done. If you prefer a more spicy taste, add additional spice as you like. But be careful, it is very hard to remove the heat once added. Add additional sweet paprika as needed to get a pleasing color. Again, start with small amounts, it is equally difficult to uncolor as to unspice. Lay out the watermelon cookies on a serving plate. then, using a piping bag (or simply add a tsp dollop on each), decorate the cookies with the mascarpone icing. Decorate with ribbons of mint, Chill for a few hours and serve straight from the fridge... And ENJOY! I love Quiche! But occasionally there are a few folks (OK, guys mainly) who cower in fear when the Q Word is spoken. Recently I made a dozen quiches that were served for a church breakfast. Why not, they are inexpensive to make (less than $8 each if you buy bacon and cheese when they are on sale). They are about as easy to make as you can imagine... With the exception of scratch making your pie crust. BUT, if you click the blue letters to follow the link, I go into great detail (with a photo essay as well) on how to make a butter crust that is PERFECT and easy to do EVERY TIME! You betcha, EVERY TIME, really. Once you have tackled the crust issue (really, easy, really)... the rest is very very simple. Grate cheese, brown bacon, whisk eggs and milk and bake. It's about as easy as it gets. As to the name... I have made this before for the church. Always well received but rarely the bell of the ball that I know it deserved to be. I watch the ladies of the church enjoy, while the men moved on to other things. A simple sign reading, "BACON CHEESECAKE", and suddenly men were fighting for the chance to be a part of the fun. And glad they were. All gone! Prepare your ingredients, Par-Bake your pie shell (400 degrees for about 8 -10 minutes until it just starts to brown. This is important to avoid a soggy crust). Fry the bacon (easier to fry after you slice the raw bacon into pieces). In a large bowl, break all the eggs and whip slightly. Grate the cheese. Add the Half and Half and salt to the beaten eggs and whip until smooth and evenly colored, thoroughly mixed. Line the bottom of each pie shell with the grated cheese, evenly divided. Top this cheese with the bacon, again evenly divided. Add the milky egg mix on top of the cheesy bacon to the top of the pie shell. Move to the oven and bake for 30 to 40 minutes until the top just starts to brown. Quiche can be served warm (allow it to rest for 30 minutes before slicing), room temperature (perfect for a brunch buffet) or chilled from the fridge. If you want to freeze one and serve one, Freezing instructions... Chill for several hours in the refrigerator. Wrap TIGHTLY with cling wrap, then with aluminum foil. Date and freeze for no more than 60 days. 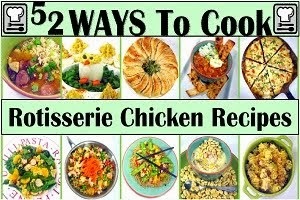 When reheating, thaw first, then reheat in the oven, NEVER the microwave (or crust will get soggy). 450 for 20-30 minutes. And tell the quiche-phobic that you are serving BACON CHEESECAKE and ENJOY! Here's you a fancy French phrase... pâte brisée. It sort of translates into Puff Pastry. Like the stuff that cost a fortune (it;s just flour and utter), but is very difficult to make at home. Well, this recipe uses the formula for a puff pastry, but it all gets smashed together (puff pastry is layers of flour and butter, this is a lump mix of flour and butter). I also make mine in a food processor. It is easy fast and most important easy. If you do not have one, can be mixed by hand, but seriously, buy a food processor. All the really cool cooks have one. OK... First up is the recipe. But keep scrolling down. This is more than a recipe post, included is a photo essay of the techniques that go along in making a crust. Add the flour, salt and sugar to the bowl of a food processor and process to mix. Prepare the next items, butter should be cold (prefer from freezer) and water in a cup with a couple of ice cubes to keep it cold, cold, cold. With the machine running, add butter 1 TBS at a time, count to three and add the next TBS of butter. Continue to process until dough resembles small pebbles like wet sand, only 5-10 seconds. With the machine still running, add the COLD COLD Water one TBS at a time. In just a few seconds a dough ball will begin to form. Stop the processor now. Prepare your "Rolling area", a place to form the flat circle of crust. This si simple, just a piece of cling wrap (Saran Wrap) laid out flat on a counter. It is important that the wrap be at least 4 inches wider than the pie plate. use an extra overlapping piece of wrap if needed. Then dump the dough ball and all crumbs from the processor onto the center of the cling wrap. Press the ball and crumbs together and form a flat ball. Press the ball and begin to flatten out into a circle. Add a top layer of cling wrap on top of the now flattened ball. Use a roller and begin rolling the dough into a flat circle. As the dough is flattened it may begin to separate. Just add some of the edges to cover the breaks and continue to roll out. Roll until the dough circle is 2 inches beyond the edge of the pie plate. Gently but firmly roll until crust is even thickness. Remove top layer of cling wrap and place pie plate on center of the dough circle. OK.... Here's the tricky part (first couple of times, once you get used to it, it becomes second nature easy)... lift each corner of the bottom cling wrap up to break the seal on the counter top. Now reach your hand under the cling wrap to the center of the pie plate (that is still resting on the center of the crust). Put your other hand on the top (the bottom) of the plate Lift up and QUICKLY flip everything so the pie plate is now on the bottom, the dough is centered on the plate and beginning to settle. There will be ripples of dough, but everything should be on the plate with some hangover all the way around. Trim the edges. With your thumbs, push the dough 1/8-inch above the edge of the mold, to make an even, rounded rim of dough around the inside circumference of the mold. You can then press a decorative edge around the rim of the pastry with the dull edge of a knife. Prick the bottom of the pastry with a fork at 1/2-inch intervals to prevent air bubbles from forming as you par-bake the crust. To par-bake, bake crust in a preheated 400 degree oven for 9-10 minutes, until crust just starts to darken in color. If you are going to bake the finished pie (Fruit pies, quiches, etc. you are ready to move on to the next step. If you are making a cold pie (like banana cream:, bake for an additional 5 minutes. Fill and bake (or chill) as directed for the pie of your choice! And when done... ENJOY! And come back tomorrow for my thousand dollar Bacon Cheesecake Recipe! Today's post is a bit unusual for me as I have the thrill of reviewing a good friend and fellow blogger's new BOOK! 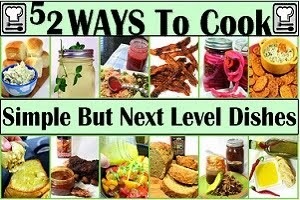 Yep, Chris Grove of the wildly popular, Nibble me This Blog has crossed that line and become a published cookbook author! First, congratulations Chris. There are very few blogs out there that I get more inspiration and knowledge from than yours. If you have never checked out the blog, follow the link attached to the blue letters and you will see a combination of great recipes (easily transferable to any type grill you might own or in most cases, just as easy to replicate in a kitchen). But also his blog features stories of the competitive BBQ circuit, interviews and behind the scenes talks with some big name grillers (Chris Lilly, Tuffy Stone and Moe Cason come to mind). One well rounded blogger. As far as a book author, I loved his book. Chris accepted the challenge of creating a "beginner's guide" to buying,setting up and using a Kamado Style grill (OK, most famously, a Big Green Egg Style). But the book is much more than a beginner's guide. I would venture to guess that more than a couple of owner's of these types of grills do not realize the potential of their investment. Chris covers the well known uses (direct and indirect grilling, smoking and using your Kamado as a Brick Oven). But he also covers many of the less well known uses... Convection baking bread, cooking casseroles, cold smoking (smoked cheeses... WOW) and so many more. 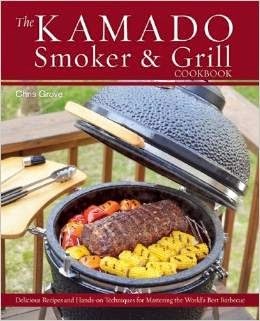 As a "How To" for a Kamado, this book covers a lifetime of back yard grilling. Included in grilling techniques are a years worth of recipes. Chris was slightly embarrassed to admit that there were 52 recipes in the book. Even accidentally, I like that number... one a week for a year and you can justifiably call yourself a Kamado Master! Chris went out of his way to inspire cooks to take his recipes and adapt as their own. All of his recipes also feature a "try this" blurb.... No recipe, just a thought balloon giving you an idea to make your own dish... Like, "A Spaghetti and Meatball POT PIE! Place your favorite spaghetti and meatballs in a greased individual sized Ramekin. Top with a crust made of pizza dough brushed with garlic butter and bake in your Kamado at 350 degrees until the crust has browned". I loved these little thought balloons! Being a long admirer of the Big Green Egg craze, but never a partaker (But I do own and use three Weber Kettles), I was concerned that the book would be too specific to the Kamado. I have cooked 4 dishes so far and in reading the rest, I can assure you that a griller with only moderate skills can easily adapt the recipes to cook on whatever grill you might have. But they sure do make me dream of adding a Kamado to my deck... Someday. But in the mean time... It was a night of Burgers, Chicken Wings and This Spinach Alexis (which I converted from a cheesy spinach side dish to a cheesy appetizer dip... Chris did say to feel free and adapt). As to this recipe, I was sold on the name. The Alexis in Spinach Alexis is Chris's wonderfully fun wife. 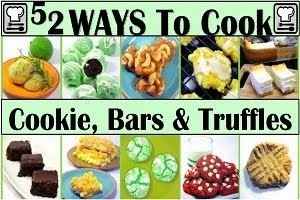 Below I have reprinted the recipe from the book almost word for word. Using his proportions you will end up with a very cheesy spinach side dish. Sounds and looks delicious. He advises cooking in single serve ramekins. I decided to make one big sharing bowl. I made a couple of slight changes. One was obvious, I doubled the amount of cheese to make it a dip. The other, as listed, I opted for frozen spinach (thawed and squeezed to get as much of the water out as possible). As a side dish or as a dip, this was FANTASTIC! Reminded me of a MUCH MORE flavorful home version of an expensive restaurant dip... Love making bar snacks at home. In a medium saucepan on the stovetop, heat the half-and-half, garlic, mustard and pepper flakes to a low simmer over medium heat, being careful not to let it boil. In a separate saucepan over medium-high heat, sautee the onion and bell pepper in one tablespoon of butter until softened, about 4 minutes. Leaving the onion and pepper in the pan, add the remaining butter and melt. Whisk in the flour and cook stirring occasionally, until it forms a light roux, about 2 minutes. Whisk the roux mixture into the half-and-half, still over medium heat, and stir until combined. Stir the queso and 1/4 cup of Monterey Jack cheese into the sauce; continue stirring until the cheese has melted. Stir in the spinach and remove from the heat. Grease one large baking dish and pour the spinach mixture in. Sprinkle the top with the rest of the Monterey Jack cheese and the paprika. Using your grill set up as a convection oven (indirect grilling). Preheat your grill to 350 degrees. Place the baking dish on the side away from the hot coals. Bake for 25 minutes. Remove from the grill and serve. Worked fantastic as a dip for tortilla chips and worked as a cheese topping for a gooey hamburger as well! Don't be left out... Order yourself a copy today! And BTW, This is a biased review because of my friendship with Chris. BUT it is also an honest review. Highly recommend the book for anyone who owns or is considering buying a Kamado. and will be inspired to become "That Guy (or Gal), the Master of his Domain! I bought with my own hard earned saved up pennies from my Poker winnings this book. No compensation was offered, promised or provided. The opinions are honest and mine... Well Done Chris! 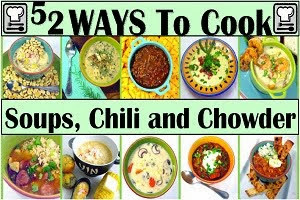 So, I am pleased to list this as one of my Growing list of "52 Grilling Time Secret Extras" or "52 Ways to Cook BBQ and Grilling Recipes"!!! 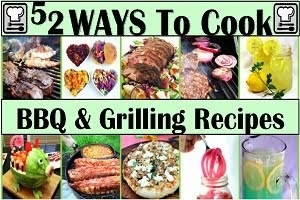 Well over 52 recipes actually as I just can't stop... Over 100 in one grilling season (I love to grill!). But not just leat... Drinks, Condiments (LOTS of different BBQ sauces), Drinks, Desserts... even specialty items like GRILLED Pizza, and fun shaped Watermelons. Easy and these ideas will make you the MASTER of your Backyard Domain!